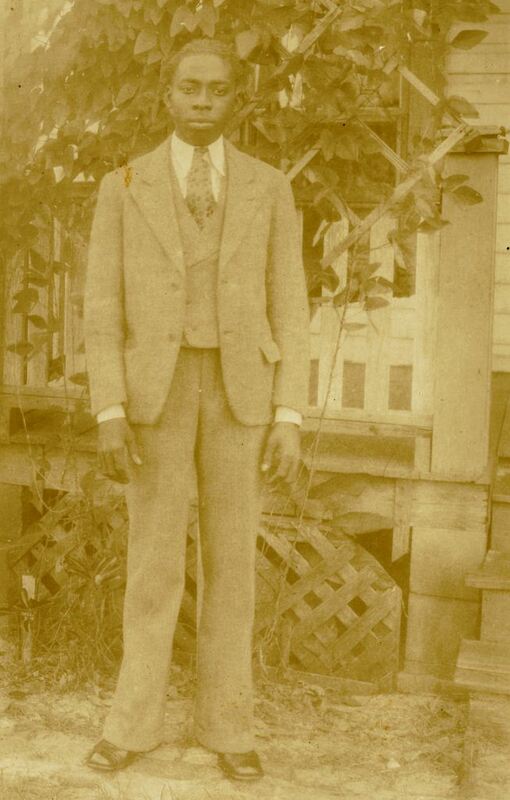 Pilgrim Black (1905-2002), the father of Patricia Ann Black (1956- ), standing in front of his house at the corner of East Twenty-Fifth Street and South Sanford Avenue in Sanford, and wearing his first pair of long pants sometime between age 12 and age 16. The Magazine of Wayne County History, Vol. II, Iss. I, front cover. “Pilgrim Black.” RICHES of Central Florida accessed April 20, 2019, https://richesmi.cah.ucf.edu/omeka/items/show/2676.